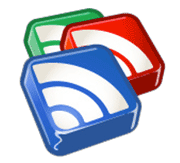 Google announced on Wednesday that Google Reader, the search giant’s RSS aggregator, will be discontinued on July 1st, 2013. Users have until then to export their subscriptions and other data with Google Takeout. This is likely a result of Larry Page’s “leaner Google,” which apparently has room for their ghost town of a social network, but not a service that fits right in with their core mission: cataloging the world’s information. For those who are looking for a new solution for reading RSS feeds, there are plenty of options out there. LifeHacker has compiled a few suggestions, both web-based services and desktop clients. Perhaps the shuttering of Google Reader could be a good thing for developers of feed readers. Torpedoing an industry juggernaut usually does wonders for a field, enabling smaller companies to innovate without the dominant company controlling the market. The RSS reader arena was more lively before Google Reader took off. It would be nice to see a resurgence. This should even work with WordPress, if you put the second script line right before the </head> tag in your theme. Google announced on one of their blogs that their AdSense network will be getting +1 buttons on display ads. So not only can users “endorse” products or services by clicking on a +1 button, but it will cause the ads appear more often to their social connections, hopefully making for more relevant ad targeting. Starting in October, the +1 button will begin to appear on display ads on your site. With a single click, people will now be able to endorse specific ads and make them more likely to appear to their social connections. We believe that these recommendations could lead your readers to notice ads on your site more, leading to more clicks and higher returns for you over time. Google recently launched a Page Speed Service, an offering along similar lines to CloudFlare. You set up a CNAME to point your domain to their servers, which cache your pages and serve them at blazing speed. 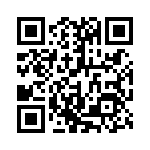 They also run everything through the lines of mod_pagespeed to lower file sizes. It’s basically like a CDN for your entire website. Page Speed Service is an online service to automatically speed up loading of your web pages. Page Speed Service fetches content from your servers, rewrites your pages by applying web performance best practices and serves them to end users via Google’s servers across the globe. This is targeted mainly at people running small to medium sized websites, such as WordPress blogs, on shared hosting. The service takes the load off your server, so you don’t have to worry about it running slowly or going down from traffic. Page Speed Service is currently in a trial period, where it’s free for anyone who wants to use it, but it may end up costing more in the future. It will be interesting to see how this competes with CloudFlare, which offers more features and a free plan that is more than sufficient for most users. (You can pay $20/month for extra analytics and some more advanced features.) CloudFlare isn’t just trying to speed your site up, though. They also want to help protect it from DDoS attacks, email harvesting, and other unpleasantness. It already has quite a bit of traction. Mozilla is in the early stages of planning a project that would not only compete with Google’s Chrome OS, but would go a bit beyond. Boot to Gecko—named for Firefox’s Gecko rendering engine—would be a bit of Android-based software (primarily the kernel, drivers and other low-level bits, I assume) designed to boot hardware to the web in order to run a web-based operating system. Mozilla believes that the web can displace proprietary, single-vendor stacks for application development. To make open web technologies a better basis for future applications on mobile and desktop alike, we need to keep pushing the envelope of the web to include — and in places exceed — the capabilities of the competing stacks in question. Mozilla wants to develop new APIs that would allow web-based applications to access hardware such as USB, Bluetooth, cameras, SMS, NFC and telephony. These would, of course, have a “privilege” system to ensure that potentially malevolent applications wouldn’t be able to access the hardware without your consent. It will be interesting to see how this shakes out. Google, with Chrome OS, seems to be primarily interested in the development of cheap hardware that boots into a browser. Mozilla, on the other hand, is currently more focused on enhancing web applications to make that sort of device more viable. And some of the APIs would likely be implemented in full-featured mobile operating systems like Android and iOS sooner or later. The old show_ads did lots of work: loading additional scripts, gathering information about the web page it was running on, and building the ad request to send back to Google. The new show_ads has a different job. It creates a friendly (same-origin) iframe on the web page, and starts the old script with a new name, show_ads_impl, running inside that iframe. The _impl does all the heavy lifting, and in the end the ads look exactly the same. But there’s a substantial speed advantage: many things happening inside an iframe don’t block the web browser’s other work. Publishers don’t need to change anything; Google took care of everything on their end. Supposedly it should shave off about 12% of the time it takes for the page to load, since the ads won’t hold up the page while they load. Google recently made some tweaks to their algorithm in order to penalize content farms, which create massive amounts of low-quality content tuned to rank well in Google. If you’ve ever run a search, looking for a solution to a problem, and found the SERP to be full of not-really-helpful results from places like eHow and Squidoo, you know what they’re trying to fix. Cult of Mac has experienced the opposite of Google’s goal: their content has largely disappeared from Google’s SERPs, while content farms and spam-blogs scraping Cult of Mac posts have been pushed to the top. A lot of our traffic came from Google, which is why the changes are so serious. I’m already seeing a big drop-off in traffic. Over the weekend and today, the traffic is half what it normally would be. I’m pissed because we’ve worked our asses off over the last two years to make this a successful site. Cult of Mac is an independently owned small business. We’re a startup. We have a small but talented team, and I’m the only full timer. We’re busting our chops to produce high-quality, original content on a shoestring budget. Indeed, Cult of Mac does break a lot of stories. Along with the Boy Genius Report, Mac Rumors and 9 to 5 Mac, they together are the source of the lion’s share of Apple-related reporting. It’s strange that Google’s algorithm would red-flag them as a content farm. Perhaps it is a result of “splogs” scraping their content; maybe a glitch in Google’s secret algorithm is causing one of the spam blogs to be marked as the original source for some reason or another? This past Wednesday, Google started rolling out the latest evolution of their search engine. “Google Instant,” as they call it, enables you to execute your searches significantly faster. It’s like the existing Suggest feature, only more so. The search results appear as you type, updating as you go. It takes a little time to get used to, but it actually does seem to be quicker. There isn’t a noticeable lag while results load, even on a 1mbps DSL line. The feature does disable itself on slower connections, though.